My baking class usually runs from 3-4 days only unless i have a client who asks for a longer session "on site" which means i would go over to their commissary/bakery/kitchen and teach them for a minimum of 5 days and up to 10 days. 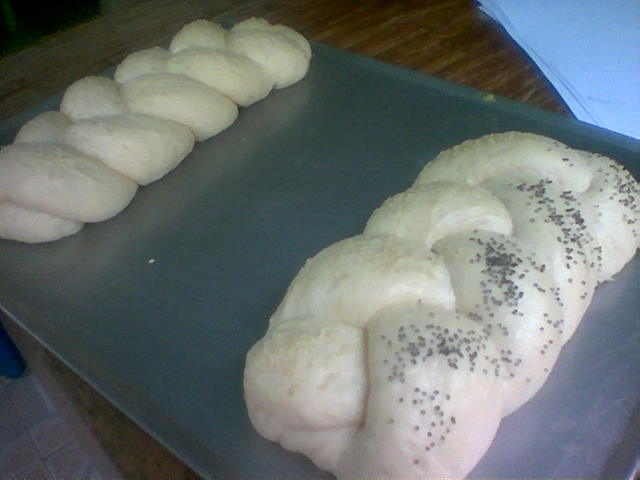 The hardest part of attending and teaching a short course is that you don't get to teach everything, molding and shaping does not happen in a wink, most of these guys can barely round a dough let alone, shape a baguette and worst, do the braiding like professionals do. 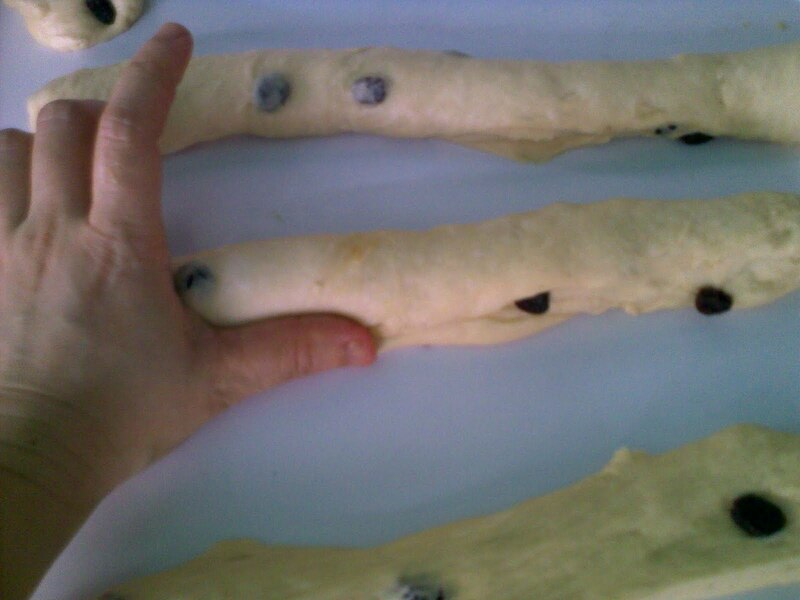 The limited time also means i do not have that much dough to give them, we use dough in real time, what we mix is what we get, i do not use "swap" doughs, i think it is fake and well, even just for the purpose of shaping, the time left for us to do this is still not enough. 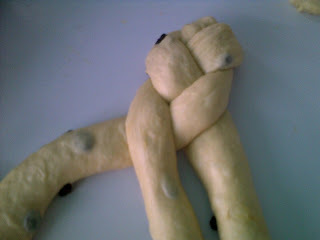 So each student will get a dough to mold into a baguette, and so on. I took pictures out of my baking book to show you how to make the simplest braid, i advise students to practice using 3 thick ropes or strings when they get home, or if they have a daughter with long hair, use that!!!! 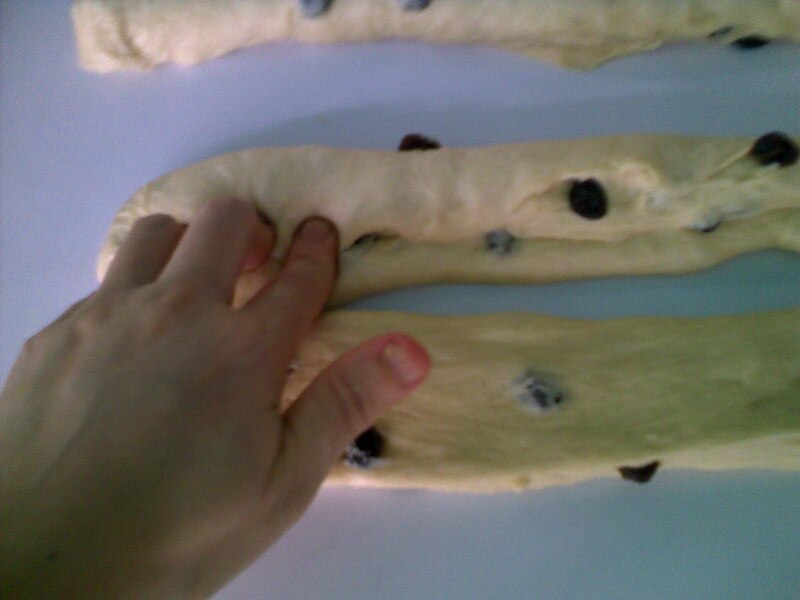 Okay, so you first start of course with a dough, then one portion should be divided into 3 mini portions. 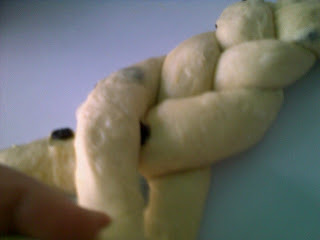 I weigh mine to make even braids, but you can make one slightly larger than the 2 portions to create height at the center. 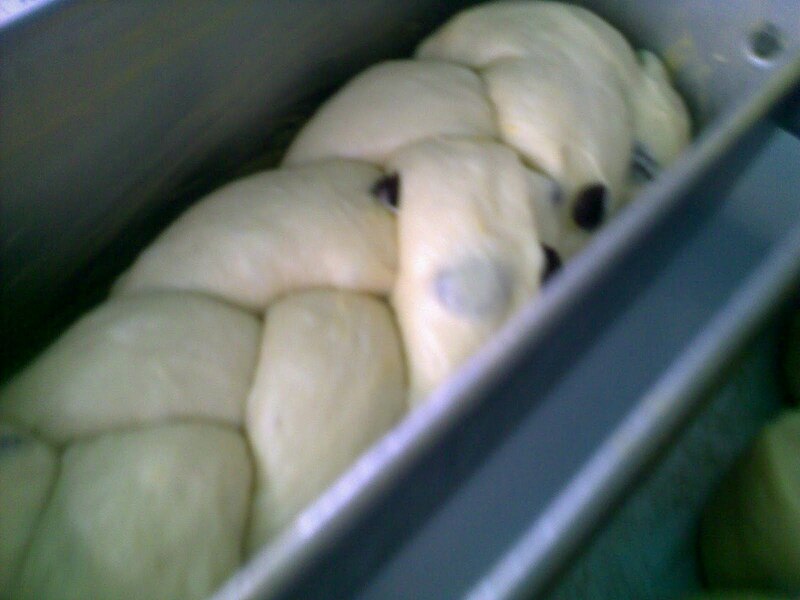 You have a choice whether to put the braids on a baking loaf pan or leave it freeform and bake them on a greased baking sheet when the braids are done. 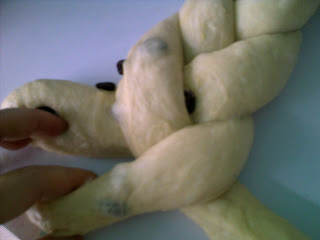 I used a raisin loaf dough to demonstrate the braiding, and baked them in a loaf pan. After rolling the 3 portions, flatten each piece and fold/tuck to create a rope like log, dimension about 2 inches as seen above, but it depends on the size of your loaf. Make sure the ropes are sealed at the edges or they will burst during proofing. 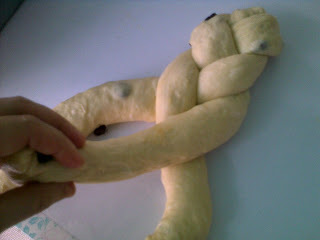 Once the ropes are done, start forming your braid, again, i practiced over 3 pieces of strings before i did this many times, not just once since i have no one to practice this with or is it on, i have 6 nephews and 1 niece and she wears a short bob cut. Besides, hhmmm meeka, i think this lovely girl will never allow me to touch her hair at all. Seal both edges when finished and tuck it under if you will not use a baking pan. 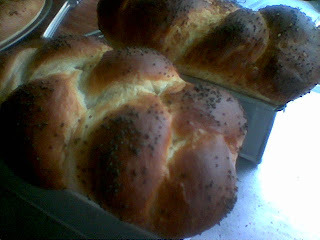 If you look at baking courses on line, you will see that the shaping and molding is a separate course, this is because shaping alone takes a great deal of skill. I remember apprenticing at an Italian restaurant below our school in Greenhills, (yup, that one! 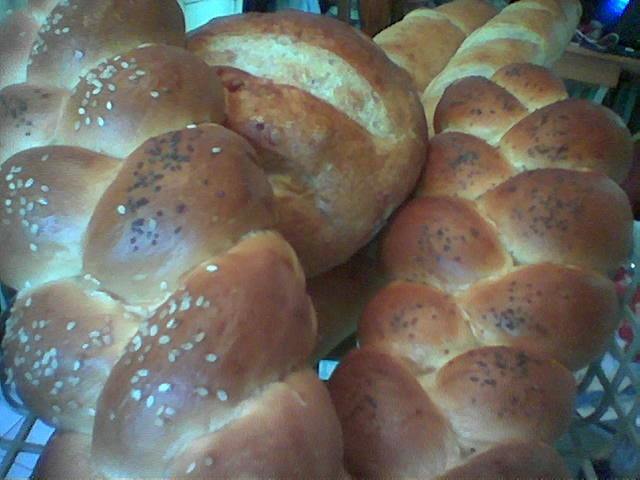 )one time and the staff there were amazed at how i could mold and round large loaves with my very, very small hands... Possible. I am petite so they could not figure out how, me as small as i am could do something only large stocky guys in the kitchen could do. How?